Lunch is indeed a very important meal of the day. However, there is a lot of tripping and faltering in the part of the weight watchers when it comes to ensuring that this important meal does not contribute to unwanted flabs and bulges. Basically, for an average adult following an average everyday routine requires no more than a 600 calorie lunch which could be a little more or less depending upon the structure and musculature of the concerned person. 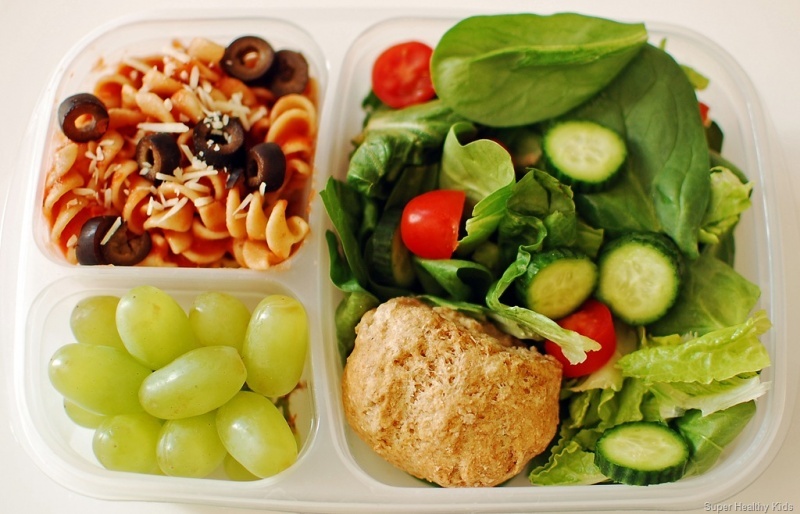 Count your calories if you can – Choose the contents of your lunch based on a thorough study on low calorie food options. Make sure that your fridge or your plate has nothing that ventures out of this list. Going green is going smart. Try this for 3 days a week with proper lean protein inputs like chicken for great visible results. Measure your portions – Cups, jars or even your fists, use any measuring assistance for your portions as long as it is accurate. Make sure that you keep away from a second helping beyond the measured portions. Go uncooked or minimally cooked – It is a recognized fact that excessive cooking kills nutrients. At the same time, addition of excess oils, cream, salt and sugar piles up on the weight. Minimally cooked meals which are measured in portions is a great way to keep weight at bay. Drink a glass of water before lunch – Drinking a glass of water before eating your meals will satiate your appetite and will allow you to eat as much as you ‘need’ than as much as you ‘want’. Water has no calories which should be an added reason to celebrate. Strike balance between proteins and carbs – Please remember that proteins are the most important ingredients of your meal and you cannot compromise of proteins to lose weight. Instead, make sure that the chunk of your diet is proteins while going a little less on the carbohydrates and replenishing the meal with a healthy dose of vegetables. Workout a little before hitting the table – Walk around, climb the stair case a couple of times, do the ropes or even take a 10 minute walk on the treadmill at least 20 minutes before eating lunch. This helps in boosting your metabolism and ensures faster break-down of the food. Eat with a tiny fork – You may have taken a small portion, but you can only allow the meal to last longer on the plate when you eat with a tinier fork / spoon! This is one of the easiest ways to keep your portions in check.